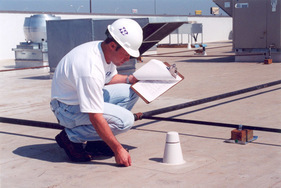 Roof inspections are an important service of River Roofing. Property sellers, buyers and Realtors trust River Roofing to thoroughly inspect and give an unbiased report on the condition and approximate lifespan that is left in the roof , to ensure all parties are aware of the condition of the roof. Give us a call to schedule your roof inspection. We know timing is important when buying and/or selling a property and we will respond quickly for your convenience.